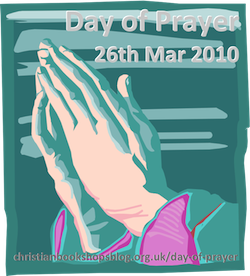 Following the success of the first Day of Prayer last September, it is proposed to hold a second Day of Prayer for the UK Christian trade on Friday 26th March 2010. The plan is for all parts of the Christian media industry, retailers, suppliers, distributors and customers, to gather together on that day to pray for our trade at a time, and in places, to suit as many people as possible. The suggestion is that the focus of prayer should be for all aspects of the trade as we seek to move forward post-Biblica – but with a special focus on the local Christian bookshop. In addition to the Day of Prayer for the trade, by the trade, it is hoped to open this up to the church at large by asking local churches to pray for the trade and particularly their local Christian bookshop, during their services on 28th March (Palm Sunday). Those who are able to host prayer events on 26th March are asked to contact the UK Christian Bookshops blog (https://christianbookshopsblog.org.uk/) to communicate their plans and also use Facebook and Twitter to get the message out. As with last year’s Day of Prayer, a dedicated page has been set up for discussions relating to the day. If you plan to host an event, at your bookshop or elsewhere, please leave details in the comments on that page. Joy, and all the others involved, thanks for your initiative in getting this particular ball rolling again. Would there be any chance of a ‘National Logo’ being made up by someone to add to our websites/publicity/invites etc? To give a common theme & purpose? Maybe something adapted/derived from the Stronger Together/Weaker Apart logo? That would be really good. It was something that occured to me when I set up the Facebook event for it but didn’t have an image for it. I have zilcho artistic skills though so not something I can do. Will look into it. 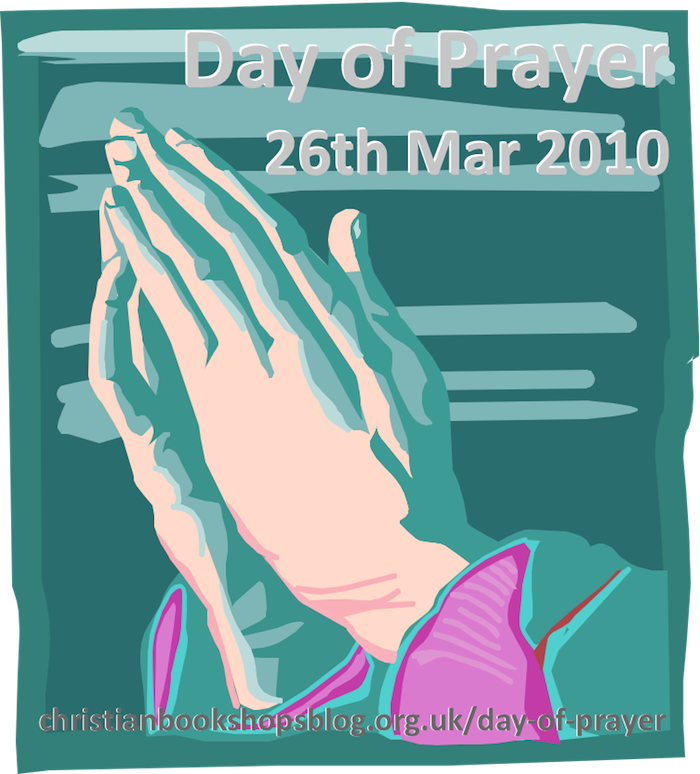 For the moment I’ve recycled the Praying Hands image I used here last year into this post and the Day of Prayer page. Designers are on the case!